Just as the sign says, post a photo of your ‘Gansett Bock on Instagram and you could win this limited-edition Bock t-shirt. ‘Gansett will pick some of the best photos based on creativity, engagement, visual appeal, and all around ‘Gansett Bock-ness! Photos with goats or rams are strongly encouraged, but please don’t do anything you wouldn’t want your grandmother seeing. And it goes without say to play it safe. Have fun, good luck, and remember to use the #GansettBock hashtag so ‘Gansett can find you. 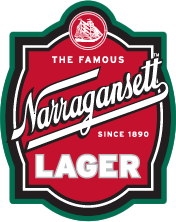 Follow @Gansettbeer on Instagram. Must be 21 or older to enter. Please enjoy ‘Gansett responsibly.